"Beautiful view and lovely condo. Saw whales and turtles often. Best times spent on the beachfront in front of the condo." 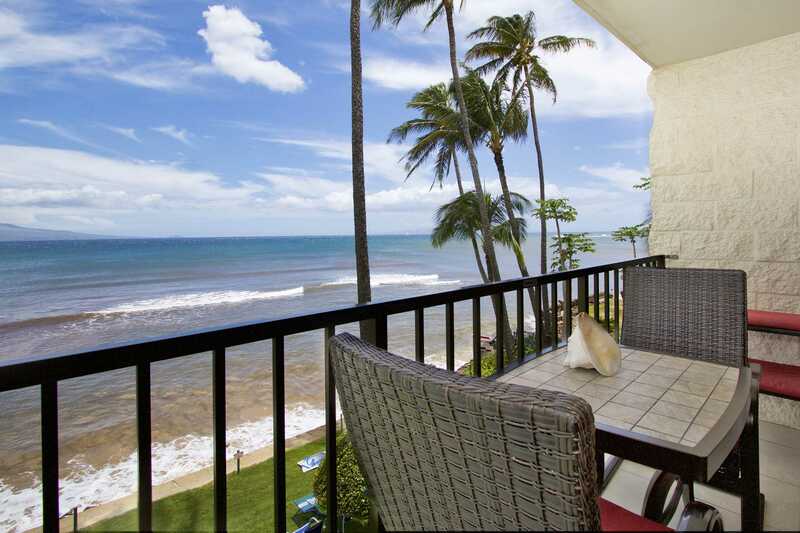 Review #22928279 "Kanai A Nalu unit 302 Oceanfront ocean view! Quiet home listen to the sounds of the sea"
This is our second stay at this location! We love it. This unit was clean and had the amenities we needed. We love sugar beach and watching the surfers from the balcony and the beach! We will be back! 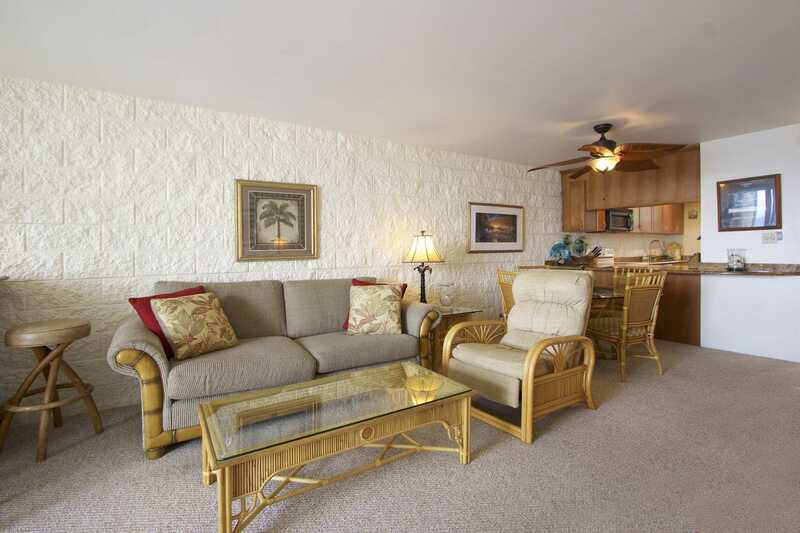 - Sarah D.
Review #21144591 "Kanai A Nalu unit 302 Ocean front ocean view! 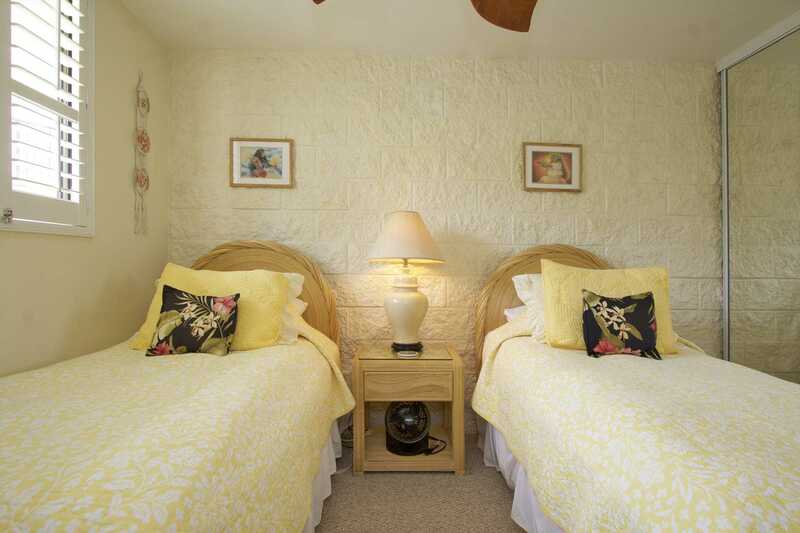 Quiet home listen to the sounds of the sea"
We were extremely pleased with our stay at Kanai A Nalu #302 January 3-10. The property is well furnished and comfortable. 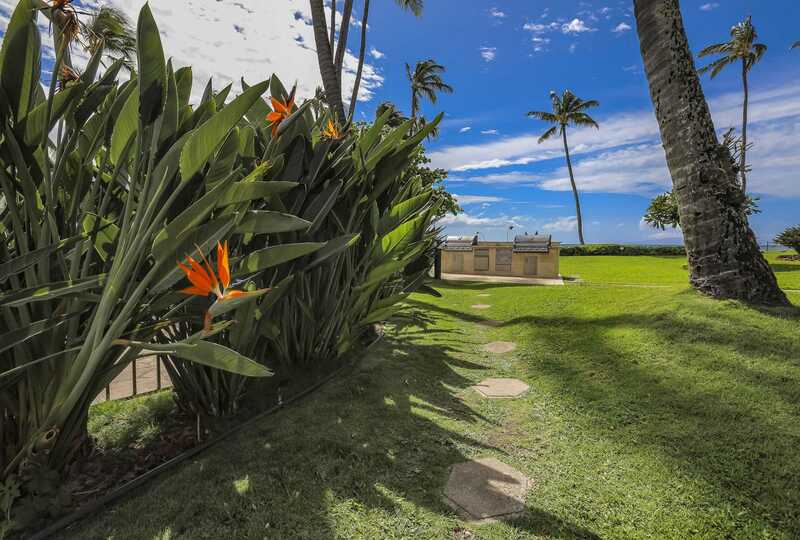 We like it's location overlooking the sea so that we can hear the waves each night and walk along the beach in the direction of Kihei each day. We like to stay in Ma'alaea because it is centrally located on Maui, permitting relatively easy travel to other locations on the island. We've visited Maui many times in the past 10-15 years but of all the places we've stayed we cannot imagine a better place to stay in Maui than this apartment in Kanai A Nalu. - Anna and Parker B. 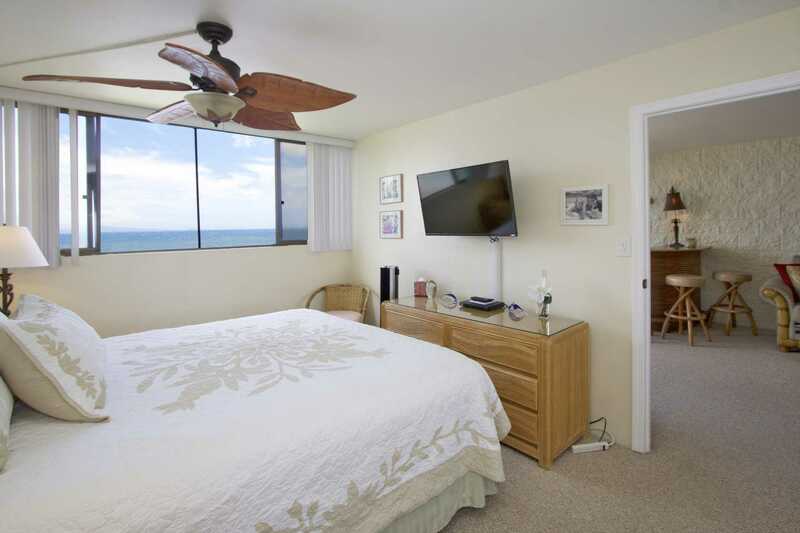 Review #21036075 "Kanai A Nalu unit 302 Ocean front ocean view! Quiet home listen to the sounds of the sea"
This is the place to be in Maui with its centralized location and accessibility to anywhere in the island. The unit is just fantastic and the property is beautiful. Everything we needed to make an awesome family vacation was there. The unit easily accommodated the 5 of us (with 3 grown kids) and the amenities / beds were top notch. No issues with check-in / out. Couldn't have gone more smoothly. Thanks! 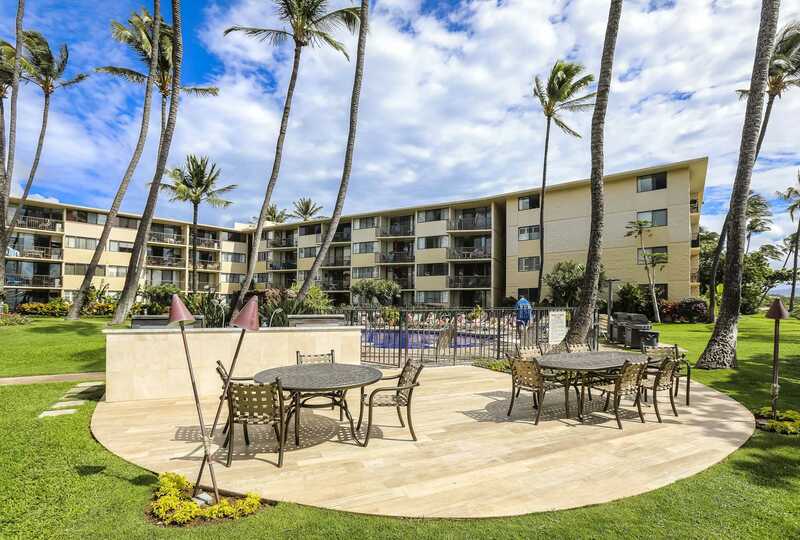 Review #19498469 "SALE $157 now to 09/30/17 Kanai A Nalu 302 Breathtaking Ocean/Island Views"
"Un appartement tres propre dans un condo bien situe. Piscine agreable et chauffee ! A deux pas de la plage. Bonne literie. 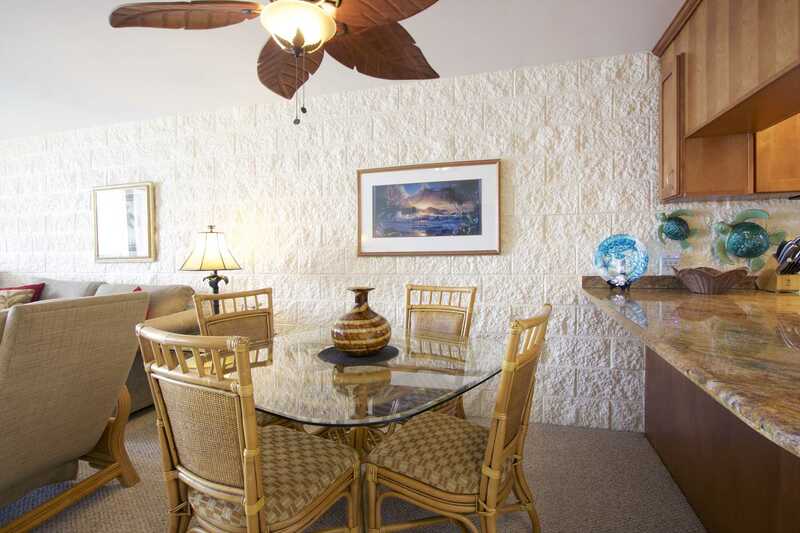 Mahalo"
The condo was PERFECT for 4 people: myself, my husband, my mother and her sister. 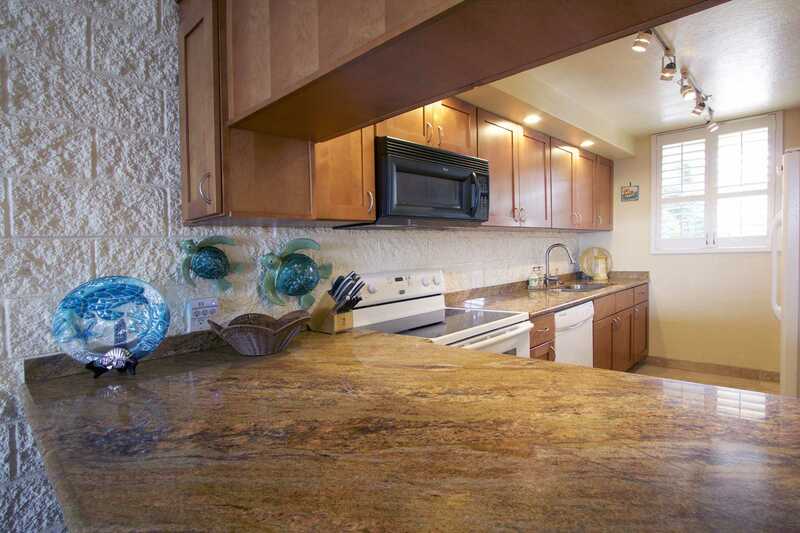 The view was beautiful, the kitchen was fantastically equipped, the condo community went very quiet at night and the lovely sounds of the ocean waves rocked you to sleep each night. We were there in January and it was quite pleasant all day, but I think during the hotter months the front bedroom could get warmer. 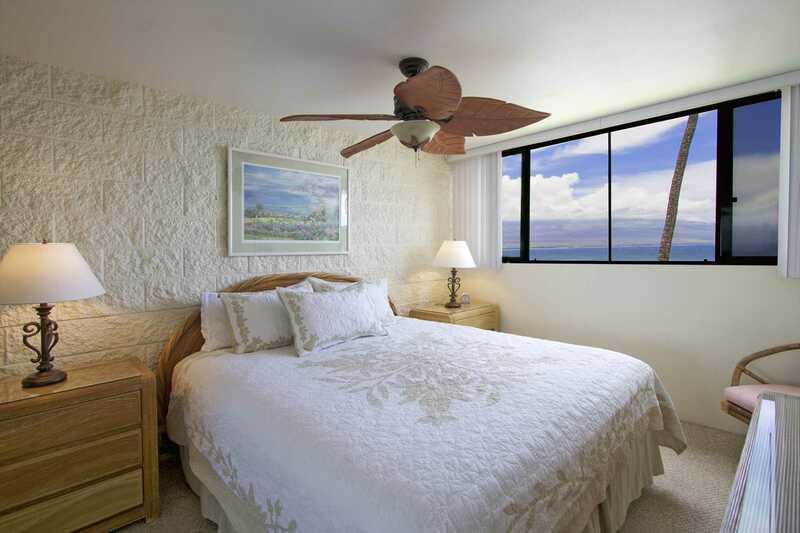 All bedrooms had windows that would open and most of time there was a strong breeze blowing through the entire condo. The general location, central Maui, was perfect as well. Just an excellent place to vacation. Kanai A Nalu 302 Dec 2016 - "Everything was great, the waves put us to sleep every night and the deck/porch was very nice and relaxing. Plenty of amenities for pina coladas and other fun island cocktails to make in the kitchen. Along with cooking appliances to make some easy meals if you don't want to eat out every night. Easy walk down to grass field and beach access right there. Perfect for how many guest we had (5-6). Price was fair especially for the holiday week rates. Left some extra body boards for future guests to enjoy. Thank you Kathy for sharing your home. 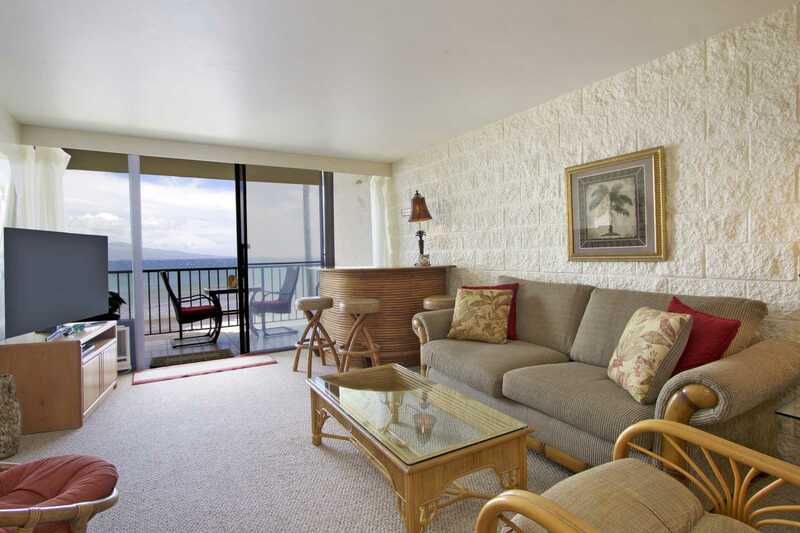 Aloha "
Review "Kanai A Nalu 302 Ocean Front Condo 3rd floor. Breathtaking Ocean/Island Views"
Awesome location, unit is nicely renovated and clean,well stored with water toys & snorkels.Our holiday was perfect. Definitely would go back and highly recommend this unit. Very good value. Our family of four (including 14yo and 11yo boys) spent 4 days on Maui and stayed in this condo. Although there is AC, we only needed it for a few hours after arrival since the condo had been closed up for a couple of days and was stuffy. Otherwise the breeze was adequate to keep it comfy for us. The location at the end of Sugar Beach was very nice. The beach was not crowded and was perfect for running in the early morning or walking at any time. Our boys used the boogie boards almost every day and the waves just down the beach provided plenty of opportunity for this. We saw numerous sea turtles during our stay. It was a relaxing visit and we appreciated the ability to extend our checkout since there was not another party coming in the day we were leaving. Would stay here again. Beach Bum restaurant at the marina just down the street was good and very convenient on our last night. Mahalo and we look forward to a future Maui vacation. "We were the group of five, each of us was so in love with this place, great view and so peaceful , looking forward to come back soon." 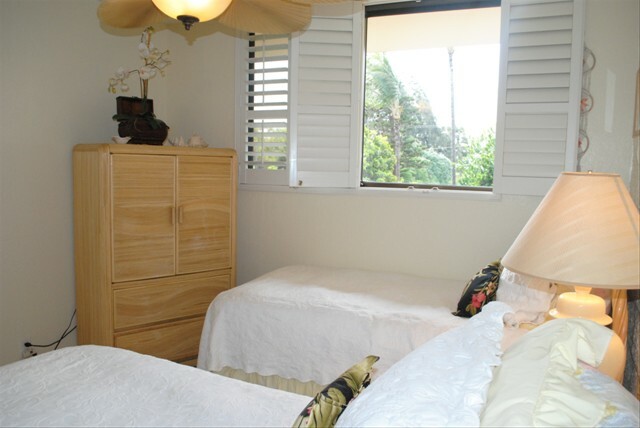 Kanai A Nalu Unit #302 Great, central, location "ON" the ocean! I shared the Kanai a Nalu property with my husband, sister and mother. We had a fabulous time! The condo is extremely well equipped and had everything we needed. It was right on the ocean and the sound of the waves was so nice to hear. The property has very clean. The contact, Windy, while we were there was great, too. We had one maintenance issue and she resolved it immediately. The condo has air conditioning in the living room only, but luckily we only needed it for a few hours on a couple of days and there are fans in all the rooms. The location was great, too, as it was about halfway between Lahaina and Wailea. In fact, its walking distance from the Maui Ocean Center. Beach Bums Restaurant is near there and had great food, including one of the best meals we had while in Maui. We would definitely stay there again! I noticed a number of 5 star reviews and have to disagree. While this is a very nice unit and I do recommend it, it's NOT 5 stars. I'm a little reluctant to give it 4, if I could go 3.5, I would. 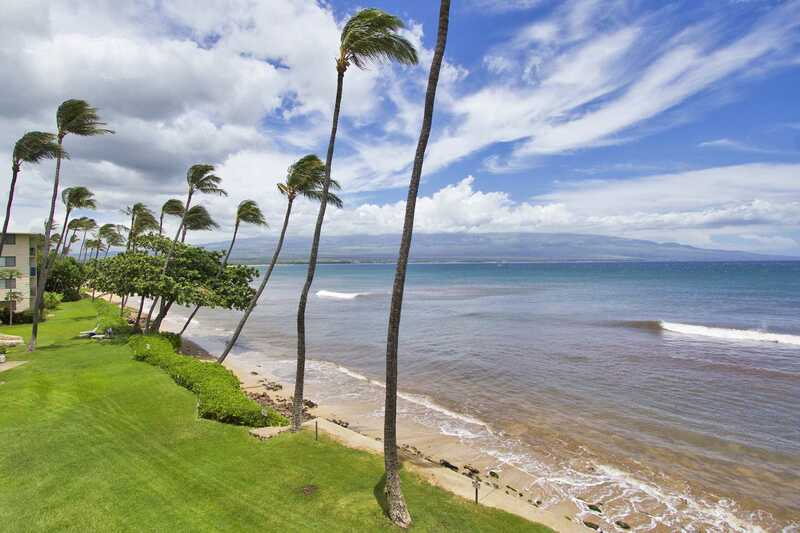 It is in a great location for experiencing Maui. Very central, easy to get to and easy to get to anywhere on the island. Very quiet, nice beach (but NOT 5 star beach). We saw sea turtles from the lanai often. There are rocks at this beach and you need to go down the beach a ways to get clear of those. The unit is attractive and well appointed, but it could use a little work. All beds have seen better days and are sagging, both front and back door (to the lanai) need work. The front door doesn't lock unless you slam it and the doorstop on it drops down on its own, blocking the door when you don't want it to do so. The sliding door to the lanai is hard to operate and jumps the track often. Kitchen is very well appointed and worked really well for us to make breakfasts and occasional other meals. It would be great for families who don't want to eat out for all those meals (the restaurants on Maui are great, but pretty expensive). We stopped at farmers markets for fresh local fruits and made a big bowl of fruit salad to have on hand. 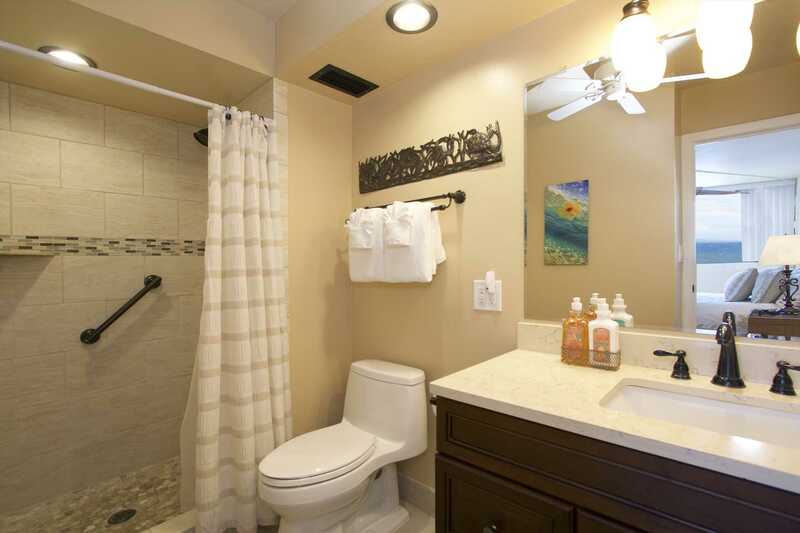 Master bath is great and other bath is good as well. Well appointed with towels and bath products, you don't need to bring much with you - we could have saved some room in our luggage. Nice beach towels too. Lots of beach toys, including a number of boogie boards (we missed them the first day and added two more boards to the collection). We also added two fishing rods - medium weight spinning rods - we brought our own reels and picked up the rods at Target. Make sure you check over all the stuff in the hamper by the front door and the "kids" bedroom closet before renting or buying anything for beach or pool. Some snorkeling gear and stuff to use on the beach. 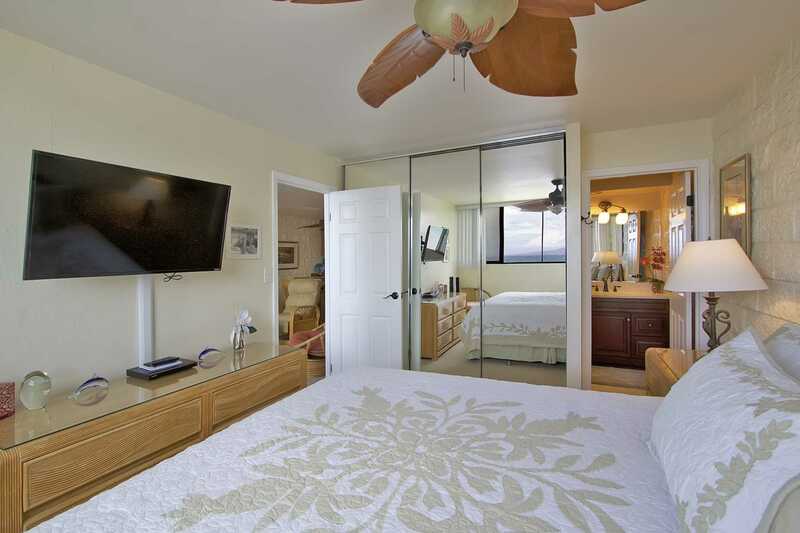 Nice size flat screen TV in the living room and large tube type TV in the master bedroom. I couldn't get the remote on the bedroom TV to work the one time I tried to use it though, not that you want to spend your time watching TV while here anyway. Nice pool area, well maintained, as is the whole property. Two large gas grills and some tables out by the pool for picnics and the like. We would rent here again, but it's not a luxe unit, or perfect. Good value though. Kanai A nalu Unit #302 Paradise for sure! We stayed in this beautiful, clean condo to celebrate our 10th wedding anniversary. To begin, booking it was a breeze and when we got there, we were pleasantly impressed. The pictures don't do it justice. This condo is so clean and organized. Everything is there that you will need. We loved the location, the views, the pool. It was very convenient to the airport, and many other areas that we wanted to visit. We highly recommend this condo. Very, very nice! Thank you for sharing it with us. Kanai A Nalu Unit #302 Paradise!! You will not be disappointed with this tropical paradise! An absolute dream vacation destination. Our family cannot wait to book a stay here again! Five nights was not nearly long enough in this fabulous retreat. All remodelled. Full ocean view. Steps from beach, swimming pool. Quiet street with harbor shops just a few blocks away. Rental agent very professional and easy to work with. Oh, and the best part? Whale watching from the lanai! Stayed here with our two teenagers and would return again and again if ever a possibility. My family has stayed here upon numerous occasions over the years. Starting off with just my fiance (at the time) spending countless hours on the beach but also in Lahaina (such a close drive). Then with our 1st born, by the pool (Oceanside) & taking long leisurely walks down the beach looking for shells & watching sunsets from lanai. 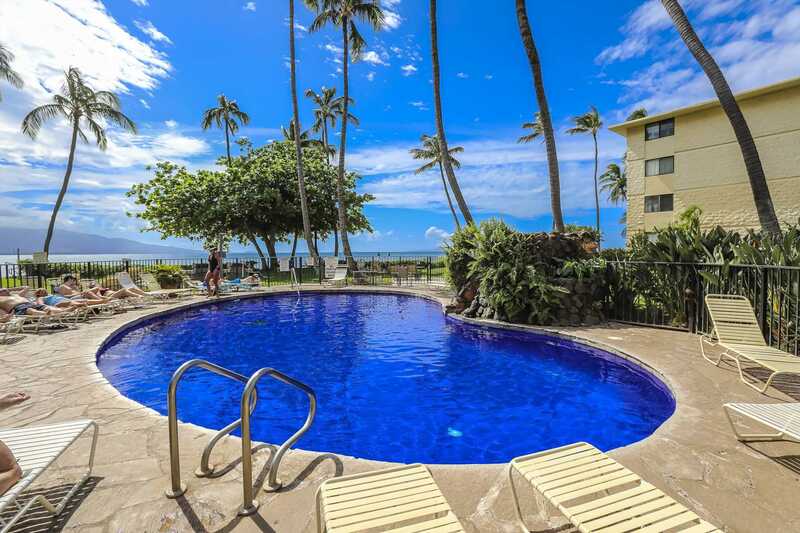 Now with 2 little people, playing on the beach/or at the pool, enjoying the comforts of a clean & amenity filled kitchen, 2 bathrooms, 2 bedrooms (master is Oceanside), and the quietness of location, yet accessibility to Kihei & Lahaina.can't ask for more. We prebook EVERY year not to miss a chance of staying at our little home away from home on the island. 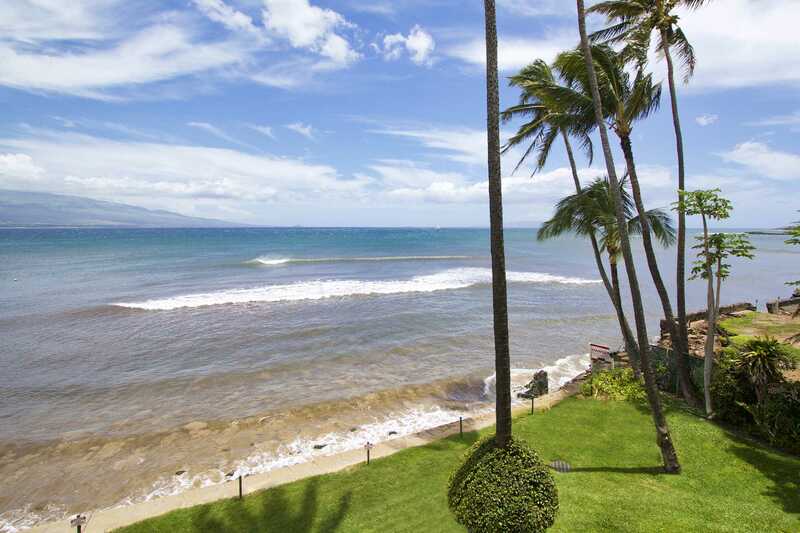 Excellent condo in perfect location for exploring Maui and spending time on the beach. We saw numerous turtles playing in the waves just a short walk down the beach (direct access from the condo). 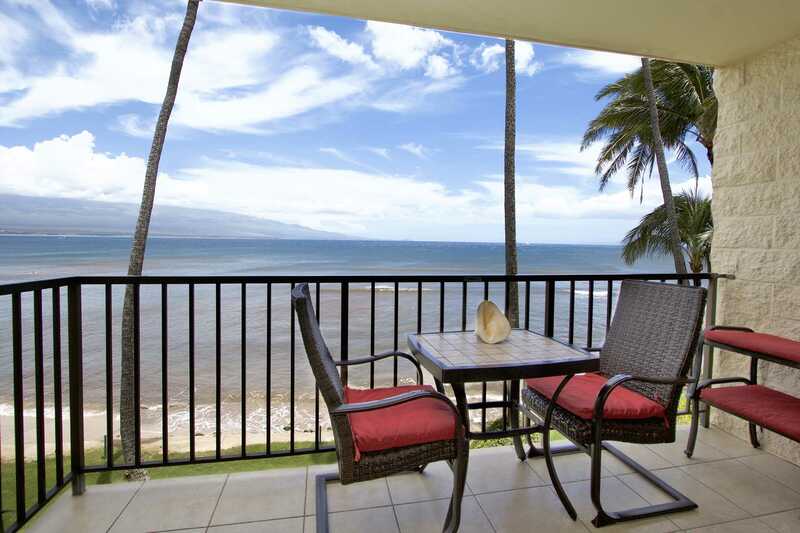 Condo was very nice with everything we needed, unobstructed view from lanai was amazing. We spent many hours looking for a place to stay and very happy we found this one. Enjoyed great fruit from the farmers market a short drive away and snorkeled with turtles several times. Hope we'll be back soon. Just what we needed for a family of 4 that enjoys sports and the non-touristy spots. On a quiet road with open park space just down the road. Small beach out front was nice but even more beautiful areas within in walking distance to the condo. Run for miles on the sand beach to the south. Sea turtles, small waves for surfing, boogie and paddle boards just out front, but best early in the AM before Maui wind picks up. (Then go wind or kite surfing by the airport!) Nice BBQ facilities which we took advantage of every night. Really a locals place with no tourists and centrally located for all water sports on the island. 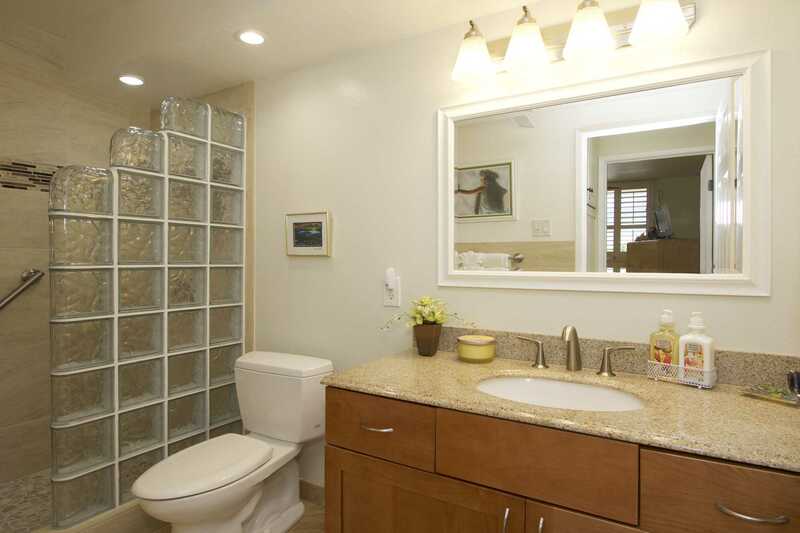 Clean condo and tastefully decorated. Mahalo. 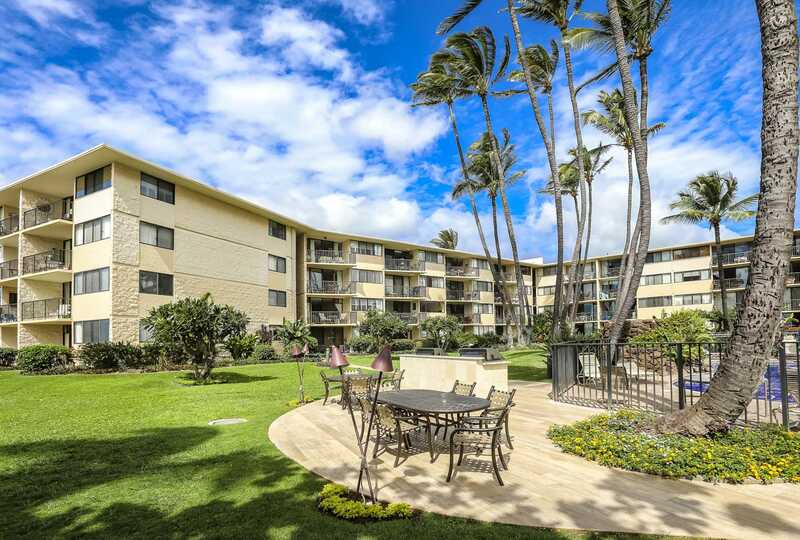 Kanai A Nalu Unit #302 Beautiful place in a beautiful location! We have stayed here many times and absolutely LOVE it! It is in a perfect location, not far from the airport and close to the marina and many other activities. The beach is great for long walks and just hanging out. What I love too is that there is lawn right up to the short bulkhead to the beach and a pool. I prefer swimming in fresh water, so love there is the choice of pool or ocean. Barbeque by the pool and have a nice evening sitting outside with friends or family. Breakfast on the lanai facing the ocean is a great way to start each day. 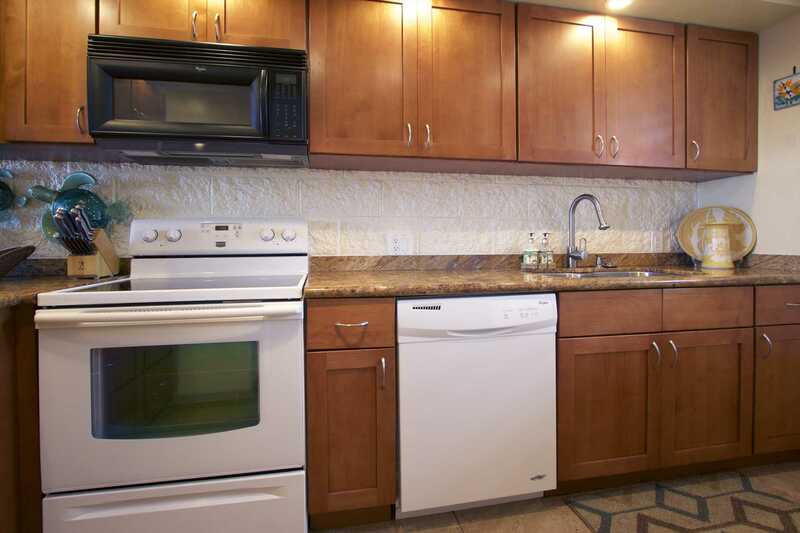 This unit is very well maintained and roomy. Love it! 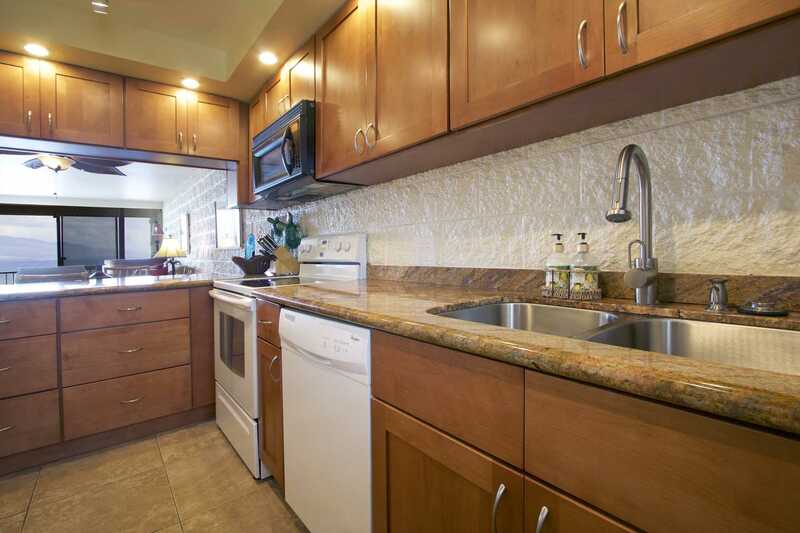 Absolutely amazing 2 bed, 2 bath condo. Everything in the condo is updated. Perfect full ocean front view. Easy 30 second walk to swimming pool. 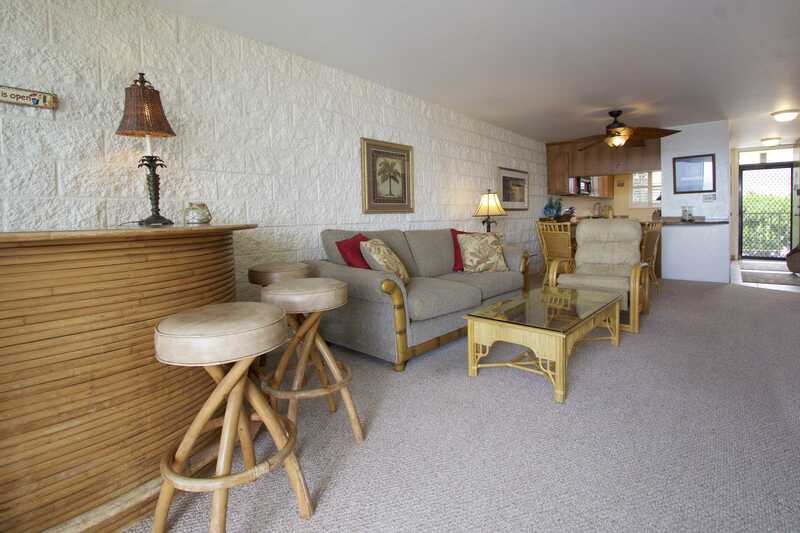 Easy 40 second walk to beach access. Quiet street 200 yards away. We never heard any noise our entire week. Perfect location to reach all points/activities on Maui. We WILL be staying here again and again. 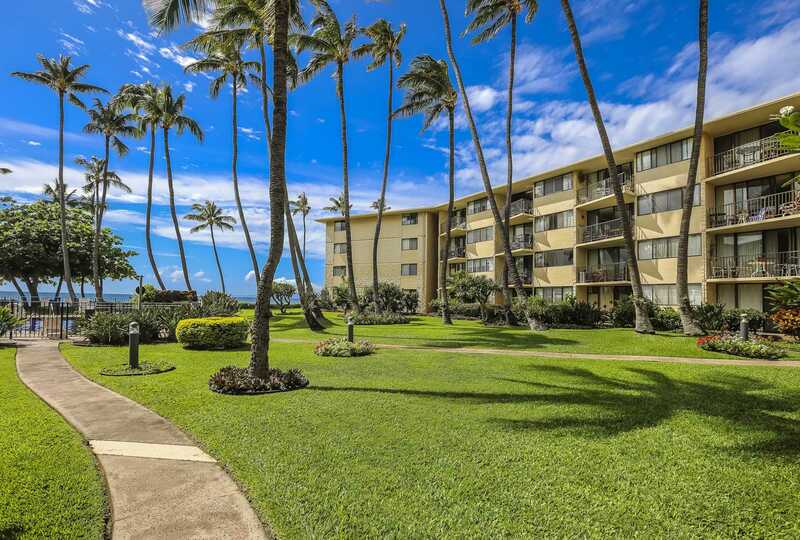 I have been to Maui a handful of times and have all but once stayed in this condo (the time I didn't was due to having too many people in our group to fit). 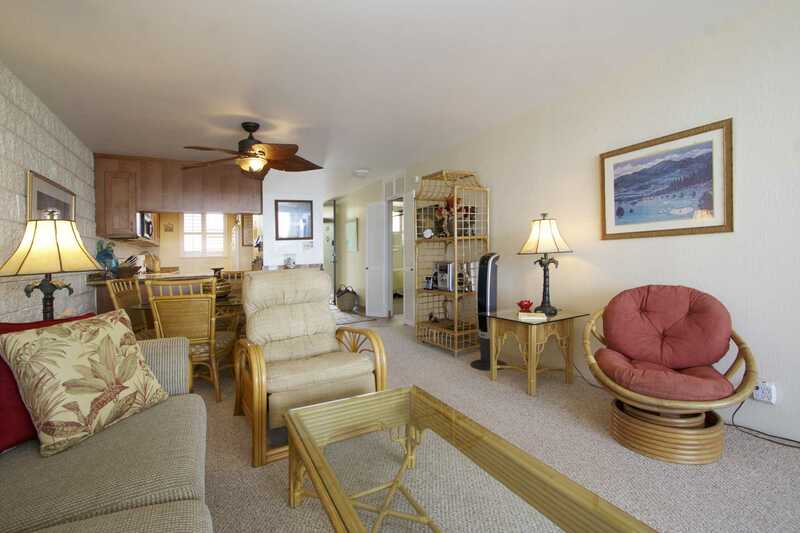 It's a comfortable, well laid-out condo that enables you to "move in" and make yourself comfortable. There's a private beach not 100 yards from the condo, plus a pool, grills, and some decent snorkeling if you swim out far enough. I've seen a turtle on the beach there before as well. 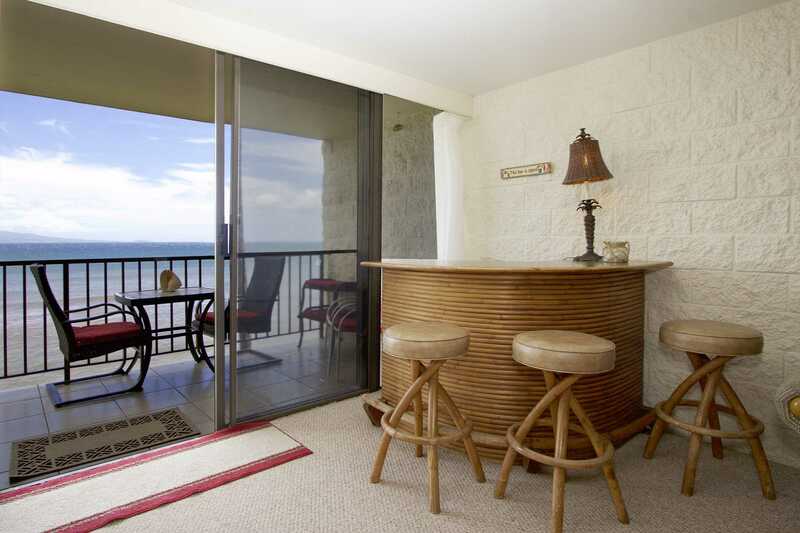 The condo has good fans for hot nights and a small deck with wide open ocean view for watching whales and waves. Aside from family trips here, my husband and I also came for our honeymoon. There's an aquarium, wharf, and small assortment of shops a few blocks away, plus easy access to the highway for travel to other locations. Lahaina is but twenty minutes away on beautiful ocean side roads and there's a putt-putt golf/family fun center five minutes away. I can't speak highly enough - it's a clean, comfortable, peaceful, and enjoyable property. Views and more views of Maalaea Bay. Watch the whales play November thru May. BBQ area with dining tables at Kanai A Nalu. 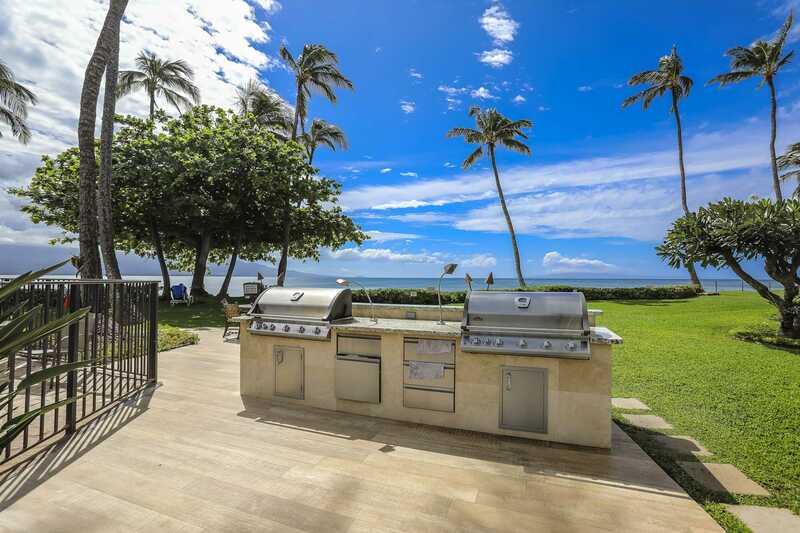 Enjoy the oceanfront setting as your grill out for some of your meals. Walk and play on Maalaea Bay. Amazing snorkeling. Swim with green sea turtles.